This project inspires me to try new things like spaghetti squash. I’ve avoided it in the past because I thought it would take too much effort to prepare. But it is simple: roast a whole squash in the oven until soft (about an hour). Cut it in half and scoop out the “glorious golden tangle of long spaghetti-like strands,” as the famous food writer Ruth Reichl describes them. You can also toast the seeds later. For dinner last night, we ate spaghetti squash with a little butter, sea salt, and pepper and it disappeared from my daughter’s plate in seconds. Today for lunch, I ate the rest with tomato sauce topped with sautéed shiitake mushrooms, garlic, and onion. 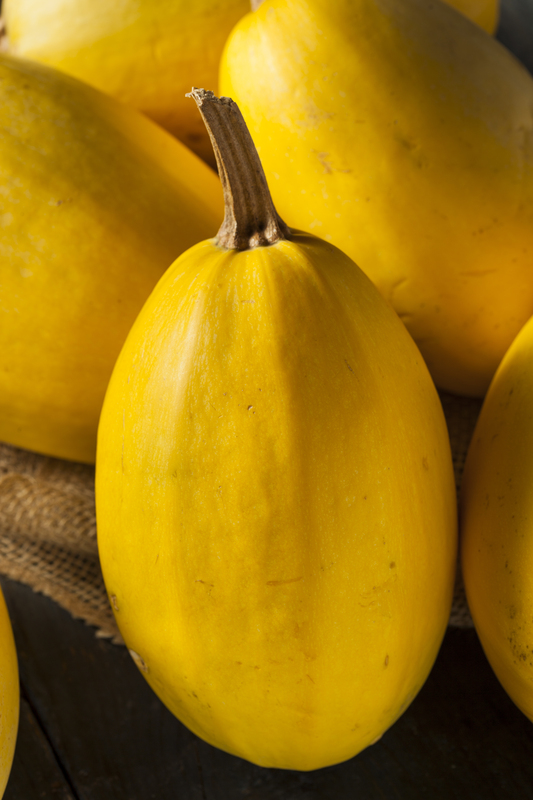 Welcome to the weekly rotation, spaghetti squash. Notes From Day 8/365 :: Did you get your daily five? I did and thanks to trying new things, it has been fun to eat more produce. Which vegetables are in your weekly meal plan? Is there a variety of color (each offers unique nutrients)? Are you willing to try something new?